a group of unique individuals can produce infinite possibilities. and media form the diverse colours of WAGTI. and help create a healthier society by sharing inspirational stories. 세상을 바꾸고 사람의 마음을 움직이는 위대한 결과물이 나온다"라는 의미가 담겨 있습니다. 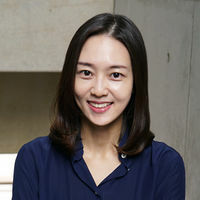 이것이 IT, 크리에이티브, 스포츠, 문화, 서비스, 컨설팅, 미디어 등 다양한 배경의 사람들이 WAGTI 안에 함께 하고 있는 이유입니다. 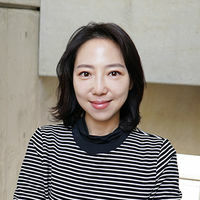 "스포츠·문화 콘텐츠로 세상 사람들을 더 행복하게 하고 건강한 사회를 만드는 것에 기여하는 것"이 WAGTI의 비전입니다. 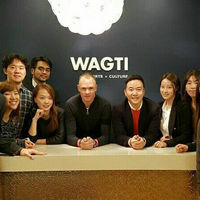 WAGTI stands for “We Are Greater Than I”, pointing to the infinite possibilities when unique individuals work as a whole. People from backgrounds such as IT, creative, sports, culture, service, consulting, and media constitute the diverse colors of WAGTI. WAGTI&apos;s mission is to bring happiness through diverse sports·culture contents, and help to create a healthier society by sharing inspirational stories. 위대한 결과물이 나온다"라는 의미가 담겨 있습니다. WAGTI 안에 함께 하고 있는 이유입니다. 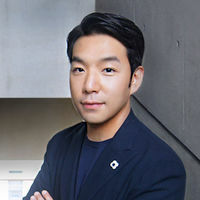 Hoon led Samsung Electronic&apos;s global sports marketing division (Chelsea FC, IAAF World Championships, LPGA, Asian Games, Galaxy11 World Cup campaign, eSports, Africa·Asia Football Association sponsorships, etc.) for over 10 years where he forged his network with the global sports community. 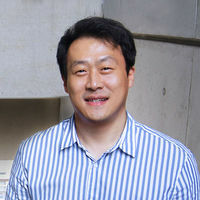 He was responsible for most of Samsung Electronic&apos;s global sports marketing initiatives from contracts to marketing executions. 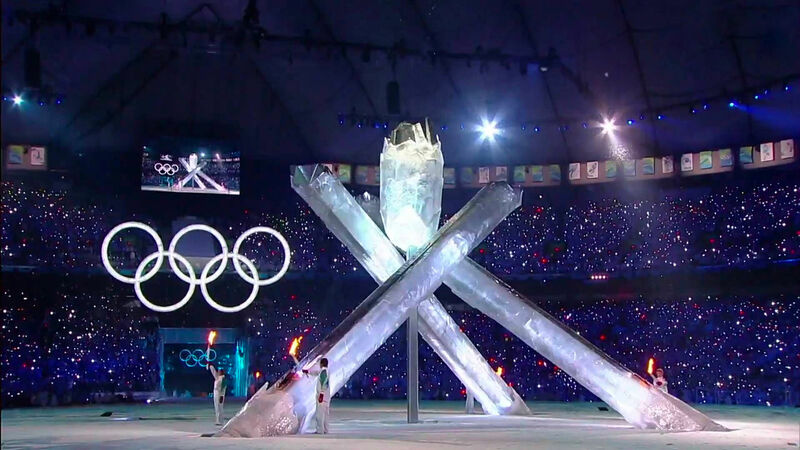 He led Samsung&apos;s &apos;06 Torino, &apos;08 Beijing, &apos;10 Vancouver, &apos;12 London, and &apos;14 Sochi OIympic Games marketing projects. 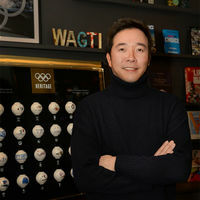 The foremost expert in Olympic marketing in Korea, as head of office for Samsung&apos;s &apos;12 London Olympic Games, he created the most successful Olympic marketing program in terms of sales and brand. He has also created Samsung&apos;s Paralympic Games campaign "Sport doesn&apos;t care". 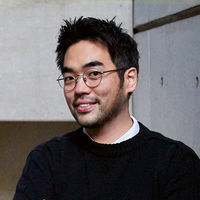 With multiple Cannes Lions under his belt, Hoon has great passion for good content creation. 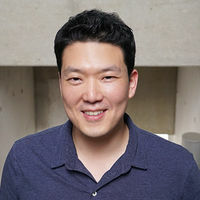 Hoon is the top expert in sports marketing in Korea with experience as an athlete, a master&apos;s degree in sports marketing from NYU, and experience in global sports marketing. He founded WAGTI in January of 2016 with a dream to create a world class sports business company. 삼성전자에서 10여 년간 글로벌 스포츠 마케팅(첼시FC, 갤럭시11 월드컵 캠페인, 세계육상선수권, LPGA, 아시안게임, eSports, 아프리카/아시아 축구연맹 후원 등)을 리드하면서 다양한 글로벌 스포츠 네트워크를 형성했습니다. 또한, 삼성전자가 후원한 대부분의 글로벌 스포츠 마케팅 계약협상과 마케팅을 담당했으며, 06년 토리노/08년 베이징/10년 밴쿠버/14년 소치 올림픽 마케팅을 총괄했습니다. 특히, 12년 런던 올림픽에서는 영국 주재 삼성전자 런던 올림픽사무소장을 역임, 역대 삼성의 올림픽 중 세일즈/브랜드 측면에서 가장 성공적인 올림픽으로 평가를 받았으며, 최초로 올림픽 B2B 마케팅을 기획하여 올림픽 업무의 지평을 넓히기도 했습니다. 또한, 글로벌 스포츠계에서 호평을 받았던 삼성의 장애인올림픽 캠페인 “Sport doesn’t care”와 서핑/사이클링 캠페인 “We Are Greater Than I“를 직접 기획하는 등 컨텐츠에 대한 남다른 열정으로, 다수의 칸국제광고제에서 수상하기도 하였습니다. 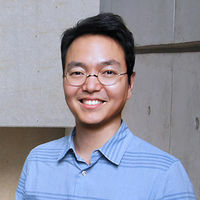 스포츠 선수 경력, 스포츠 마케팅 석사(NYU), 글로벌 스포츠 마케팅 경험 세 가지를 두루 겸비한 스포츠 마케팅 전문가인 강 대표는, 대한민국에 세계적인 스포츠 비지니스 회사를 만들겠다는 포부를 갖고 2016년 1월 WAGTI를 설립했습니다. 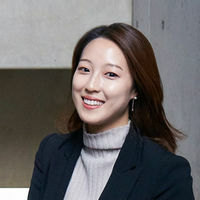 Sun Song is a brand·product marketing specialist., cutting her teeth at Samsung Electronics managing global branding and product launches. Impressed by a TV commercial in her teens, she went on to receive a masters degree in advertising in the US and still carries out her dream to become "a marketer that changes the world." 삼성전자에서 글로벌 브랜딩 및 제품 런칭 마케팅 업무를 담당해온 브랜드·제품 마케팅 분야 전문가입니다. 어려서 우연히 봤던 광고에 반해서 결심했던 "세상을 바꾸는 마케터"의 꿈을 이루고자 미국에서 광고학 공부를 하기도 했던 그녀는 지금도 그 꿈을 이루고자 새로운 도전 중에 있습니다. Dominiq is a sports marketing expert having negotiated contracts and led marketing activities for the '10 Vancouver Games to the '14 Sochi Winter Games, Chelsea FC, and various sports federations before he joined WAGTI. Always appreciating entertainment, he has the most taste in performance arts at WAGTI. 삼성전자에서 ‘10 벤쿠버부터 ‘14 소치까지 다수의 올림픽 마케팅 경험을 쌓았으며, 첼시FC, 다양한 국제 스포츠 연맹 스폰서십 계약 및 마케팅 업무를 담당한 스포츠 마케팅 전문가입니다. 풍류를 즐길 줄 아는 그는 WAGTI 최고의 흥부자입니다. 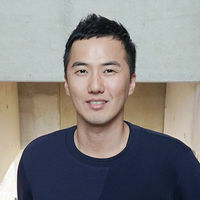 Johnny joined WAGTI from Cheil Worldwide, where he worked on Samsung mobile’s partnership marketing. 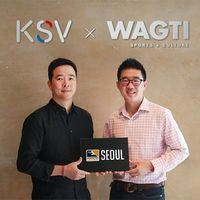 After successfully launching L’Étape Korea at WAGTI, he now works towards their first digital service. He's known to diet so he can eat more. 제일기획에서 삼성전자와 함께 파트너십 마케팅 프로젝트를 추진해 왔습니다. WAGTI에서 레탑 코리아 사이클 대회를 추진했으며 이제는 디지털 서비스를 위해 노력하고 있습니다. 많이 먹기 위해 다이어트를 합니다. 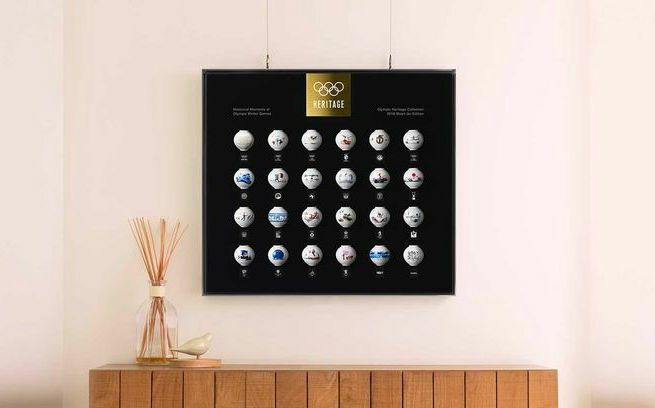 Kay led Samsung’s Olympic showcasing, global product launches and events at Samsung Electronics for 6 years. He is getting the digital service for launch at WAGTI. Despite his cold looks he possesses a warm heart. 삼성전자 무선사업부 마케팅팀에서 6여 년간 전세계 신제품 런칭, 글로벌 전시 및 올림픽을 담당한 마케팅·이벤트 전문가입니다. 지금은 WAGTI에서 출시할 디지털 서비스를 준비 중입니다. 외모와는 달리 여성스러운 감수성의 소유자입니다. Opened and managed a fund at Solaris Partners(SK Group), and was responsible for business banking at Citi bank and SC bank. Currently in charge of finance and funding as WAGTI's CFO. Impressed by fellow WAGTIAN's, he is currently building up his karaoke song portfolio. Solaris Partners(SK Group)에서 펀드 설립 및 운영, Citi은행 SC은행에서 기업금융 업무를 담당했습니다. 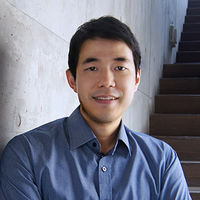 현재 WAGTI의 CFO로서 재무관리와 펀딩 업무를 맡고 있습니다. 잘 놀줄 아는 WAGTIAN들을 보면서 10년째 "샤방샤방"만 부르는 본인을 자책하며 신곡 개발에 힘쓰고 있습니다. After 18 years in accounting, finance, and tax at construction firms, he is now enjoying his second renaissance at WAGTI. An "uncle" figure at WAGTI, he's a shy and tender boy at heart. 건설업계(정원종합산업, 케이티엠파트너스)에서 18년동안 회계, 자금, 세무를 담당하였으며 그동안 숨겨왔던 열정으로 제2의 전성기를 wagti에서 맞이하는 중입니다. 왁티에서 아재감성을 담당, 하지만 마음은 수줍은 소년이라고 합니다. A sports marketing expert. 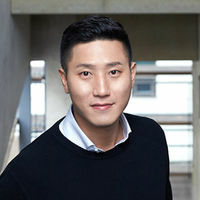 Previously a project manager at Cheil Worldwide for Samsung’s sports marketing which included multiple Olympic projects from London 2012 to Pyeongchang 2018 and football marketing projects. Jhon also has media rights acquisition experience (EPL, Euro, Serie A, etc.) from MBC ESPN. 스포츠 마케팅 전문가로 제일기획에서 런던올림픽을 시작으로 평창올림픽까지 삼성전자 올림픽 마케팅과 여러 건의 축구 프로젝트를 담당하였으며, 제일기획 전에는 MBC ESPN(현 MBC Sports+)에서 스포츠 중계권 구매/계약 그리고 PD 경력도 가지고 있습니다. A sports and golf brand product MD at Eland and Descente in the past, he's currently creating a new sports lifestyle brand at WAGTI. Firmly believing that MD's are at the heart of every business, his charmish looks defies the fact that he's an ex-marine slash kendo master with sports running through his blood. 이랜드와 데상트에서 스포츠, 골프 브랜드 상품기획 MD를 했으며, 현재는 세상에 없던 스포츠 라이프스타일 브랜드를 만들고 있습니다. MD라는 직업이 비즈니스의 꽃 이라고 믿는 그는, 아담한 모범생 외모와는 다르게 해병대 출신의 검도사범으로 스포츠 영혼을 가진 의리의 사나이입니다. 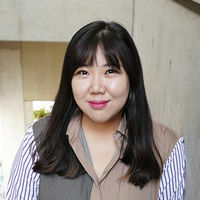 Doyeon is a communications expert from Cheil working on brand consulting, marketing strategies, overseas events, and sports sponsorships. With a nomadic soul who loves the Olympics, she is honing in on her strength through pilates these days. 제일기획에서 브랜드 컨설팅, 마케팅 전략수립, 해외 전시 및 스포츠 스폰서십을 담당한 커뮤니케이션 전문가 입니다. 올림픽을 사랑하며 자유로운 영혼을 가진 바리스타로 현재 필라테스를 통한 잔근육 강화에 힘쓰고 있습니다. 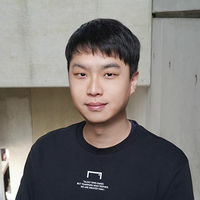 Nakwon is a creator that has experiences in both online and offline medias through stints at agencies. He's helped brands grow nationally and globally through service launches and rebranding. His philosophy on design is that it's everything you see, feel, think, and act upon. 디자인 에이전시에서 온·오프라인 관련 브랜드 디자인 및 디렉팅을 담당한 크리에이터입니다. 국내외 기업 및 브랜드의 서비스 런칭 및 리브랜딩을 담당했습니다. 또한, 디자인은 보고, 느끼고, 생각하고, 행동케 하는 모든 것이라는 고집을 가지고 있습니다. 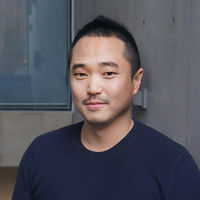 As a marketing specialist, he was in charge of numerous projects with Cheil Worldwide and global agency Jack Morton. He has also performed a variety of roles including being a fashion marketer, European football editor and Olympic snowboard manager. At the moment he is all hands on deck with childcare. 이벤트 마케팅 전문가로서 제일기획과 글로벌에이전시 잭몰튼에서 수 많은 프로젝트를 담당했고, 패션마케터, 유럽축구 현지에디터, 올림픽 스노보드매니저 등 다양한 직무를 두루 거쳤습니다. 또한 육아에도 매진하며 매일 다크서클 신기록을 수립 중입니다. 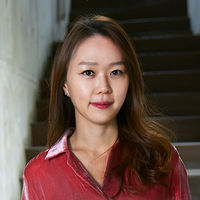 After studying fashion, she worked at Samsung as a mobile phone and notebook CMF(Color, Material, Finishing) designer. With fashion and product design as her ammunition, she's getting the new brand from WAGTI ready, as well as starting a new chapter in her life with people who value others. 패션디자인을 전공하고 삼성전자에서 휴대폰과 노트북 디자이너로 활약한 CMF(Color, Material, Finishing) 디자인과 디자인 전략의 전문가입니다. 패션과 제품을 경험한 다양한 시각으로 WAGTI에서 새롭게 선보일 브랜드의 탄생을 준비하며, 나보다 우리를 생각하는 좋은 사람들과 인생의 제2막을 시작합니다. 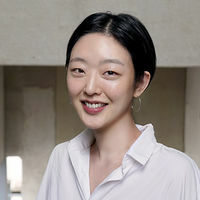 Sun Kyung connects brands and manufacturers through her clothing quality checking wizardry. Having worked at Ralph Lauren, E.Land, Hojeon Limited as a QC, she is now focusing on WAGTI's Goal Brand as an MD. She believes in strength in numbers. 디자인 감성을 가지고 브랜드와 생산 현장을 이어주는 의류 생산품질 전문가입니다. 랄프로렌과 이랜드,호전실업에서 품질관리를 하였고 현재 WAGTI 골브랜드의 MD로 일하고 있습니다. 나보다 우리의 힘을 믿습니다. Ellen graduated college in Switzerland, and has been a brand marketer abroad in the Middle East and Africa region for the past 10 years. Travelling over 30 countries, Ellen pursues a "nobless nomad" lifestyle that enriches life through experiences. 스위스에서 호텔경영을 공부하고 해외(중동. 아프리카)에서 브랜드 마케터로서 10여 년간 활약해왔습니다. 다이나믹한 그녀는 30개국이 넘는 나라를 다녀왔고 경험으로 삶을 풍족하게 만드는 노블레스 노마드 삶을 지향합니다. Sandra studied fashion in Milan, with various experiences in creating brand experiences for Samsung Group during her tenor at Cheil Worldwide. She's currently getting in shape for summer. 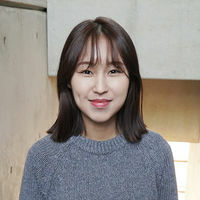 이태리 밀라노에서 패션 공부를 했으며, 제일기획 Brand Experience 부문에서 삼성그룹의 다양한 체험마케팅·런칭 이벤트 진행했습니다. 지금은 자기관리를 하기위해 고군분투 중입니다. 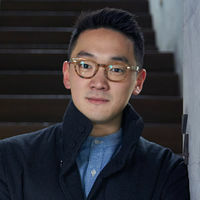 Chris is a sports marketing specialist with experience at Cheil Worldwide and IMG. 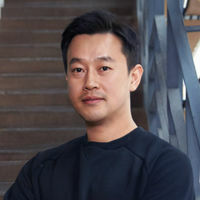 He managed numerous Olympic marketing campaigns for Samsung as well as GE, while also working on the Asian Games and football projects. An avid sports fan, especially in basketball, he is in charge of sports and Olympic marketing businesses at WAGTI. 제일기획과 IMG를 거친 스포츠 마케팅 전문가로 삼성전자와 GE의 여러 올림픽 마케팅 캠페인을 포함하여 아시안게임과 축구 프로젝트를 담당했습니다. 모든 스포츠를 사랑하며 특히 농구에 미쳐 있는 그는 WAGTI에서 스포츠 사업과 올림픽 마케팅을 책임지고 있습니다. 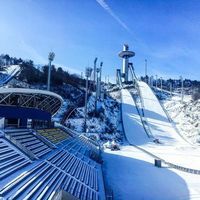 Han has successfully carried out Olympic sponsorship contracts for the IOC·organizing commitees at Samsung Electronics towards successful marketing activities during the '14 Lillehammer Youth Olympic Games and the '16 Rio Olympic Games. He looks forward to his new hobbies which are tennis and cycling. 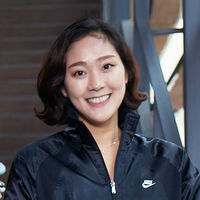 삼성전자에서 IOC·올림픽 조직위와의 올림픽 스폰서십 계약 및 마케팅 업무를 담당하여 릴레함메르 유스 올림픽·리오 올림픽을 성공적으로 진행했습니다. 새로운 스포츠인 테니스와 사이클을 통해 심장이 터질 것 같은 희열로 가득한 한 해를 기대하고 있습니다. 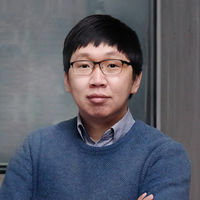 Having experienced multiple web/app service projects, Eunsung is in charge of providing a great eCommerce service for customers worldwide at WAGTI. 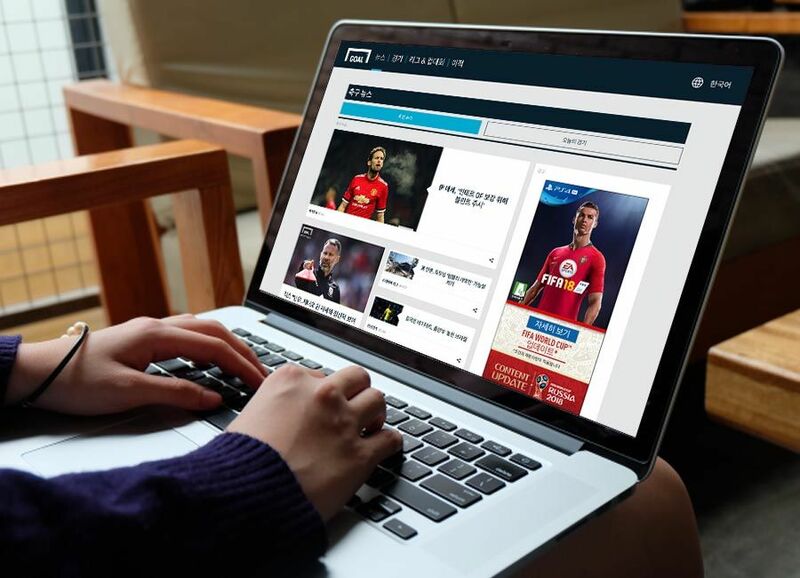 His goal is to create an "Online sports scene" for sports fans as a WAGTIAN. 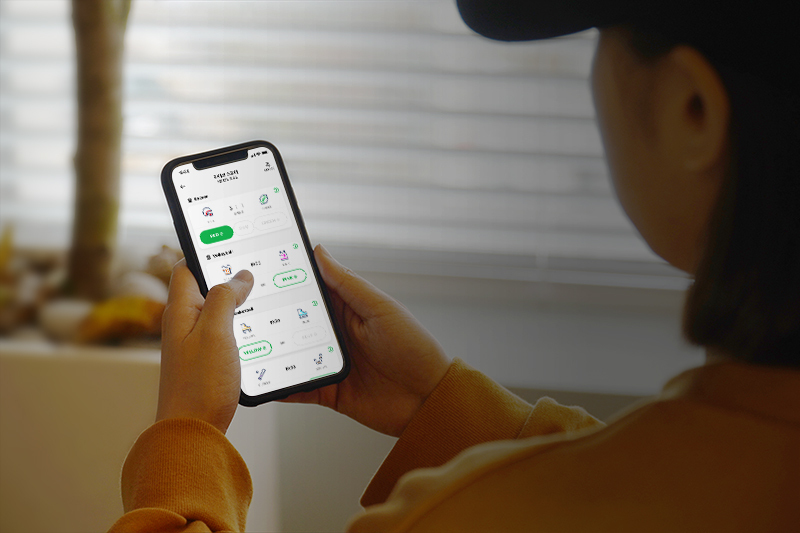 다양한 분야의 WEB/APP 서비스 기획 업무를 담당해 왔으며 현재는 WAGTI에서 글로벌 고객을 대상으로 만족도 높은 EC 서비스 제공을 위한 기획·운영 업무를 담당하고 있습니다. 더 많은 스포츠 팬들이 즐길 수 있는 온라인 '스포츠씬'을 만드는 WAGTIAN이 되는 것이 목표입니다. 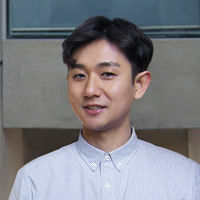 Sanghyuk worked at Samsung's marketing communication division for 6 years, after which he moved SPOTV as a sports caster for K-league, Europe's football leagues, and baseball. "Selfish guy" is the phrase people use to describe him, but is channeling his passion towards sports to be the "Miracle guy". 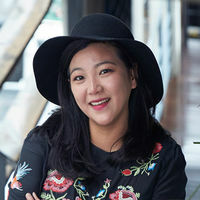 삼성전자에서 6년간 마케팅 커뮤니케이션을 담당 후 스포츠에 대한 남다른 열정이 더해져 SPOTV에서 스포츠 캐스터로서 K리그 등의 하이라이트 더빙을 담당하였습니다. 하고 싶은 일에 경주마 처럼 직진하여 “이기적인 남자”라는 소리를 듣지만, WAGTI에서 스포츠에 대한 열정을 바탕으로 이“기적”을 만드는 남자가 되기 위해 노력하고 있습니다. For 14 years, he's been connecting fans with football. As a reporter at broadcast stations, daily news, new media amongst others, Mark is a football fan himself having reported in the FIFA World Cups, UEFA Euro, AFC Asian Cups and other major games. Although a fan of football, he believes any and all sports are interesting once you understand the rules. 14년째 축구와 당신을 잇는 다리 역할을 하고 있습니다. 전문기자로 방송, 일간지, 매거진, 뉴미디어 등 다양한 매체를 거쳤습니다. 축구에만 꽂혔을 것 같지만 세상의 모든 스포츠는 룰만 알면 재미있다는 확신을 갖고 있습니다. He plays football with his pen. 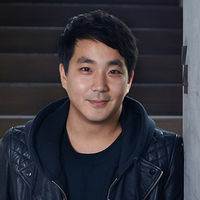 He's a writer with many books to his name, a reporter that covers the pitch in England's PL, and Europe's UCL, and a columnist formerly at Naver, and currently at Daum. He always thinks of how he can help fans of football when he writes. 축구를 글로 쓰는 사람입니다. 축구 서적 저자이자 역자이며, 런던에서 EPL 현장을 취재하는 기자이자 (전)네이버, (현)다음에 칼럼을 기고한 칼럼니스트입니다. 그가 늘 하는 고민은 '어떻게 하면 축구팬과 독자에게 좀 더 도움이 될 수 있는 글을 쓸 수 있을까.' 입니다. 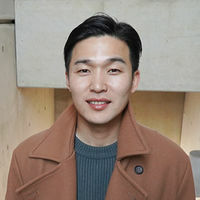 Seungheon is a WAGTIAN who wishes to add new DNA to WAGTI with his experiences in fashion design from domestic brands. He enjoys indulging in design at work, football on the field, and quietly sewing back at home. He aspires to be an engaging designer who craves and examines the new. 국내 브랜드에서의 의류 디자인 경험을 기반으로 왁티에 새로운 DNA를 넣고 싶은 왁티안입니다. 회사에서는 디자인을, 운동장에서는 축구를, 집에서는 조용히 봉제를 즐겨 합니다. 늘 새로운 것을 갈망하고, 연구하는 건강한 디자이너가 되고 싶어합니다. After working in the Japanese fashion industry at Adastria, she moved on to Forever 21's Asian headquarters learning the ropes of Japaense business for three years. A fun fact on her resume is that she used to be a florist as well. She's also an avid football fan who loves to watch the EPL. 일본에서 현지 패션회사 ADASTRIA에서 일본 패션계의 경험을 쌓은 후, Forever21 아시아 본사에서 일본 비즈니스 업무를 3년간 담당했습니다. 특이한 이력으로는 플라워 스타일링을 하는 플로리스트로서 활동한 경험이 있습니다. 그리고 EPL을 챙겨보는 축구 팬 입니다. 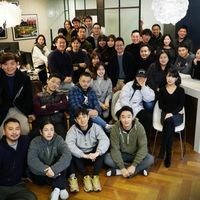 At GE Healthcare and then Cheil Worldwide, Jiyoon took care of finance and invoices, client billings, performance management, and management planning. At WAGTI she manages finances and expenses. She's been passionately taking care of WAGTI since it was founded. GE Healthcare와 제일기획에서 수출입 정산, 인보이스 관리, 실적관리, 클라이언트 청구 및 경영계획을 담당했습니다. 현재 WAGTI에서 전반적인 재무 및 경비 관리를 맡고 있으며, WAGTI 설립 초반부터 넘치는 열정으로 WAGTI의 살림을 책임지고 있습니다. 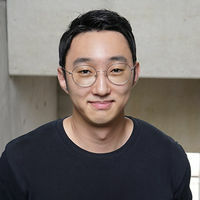 Bo Hyung is a video specialist who's been in charge of production for a football podcast and created social video content the Korea Football Association. The mere word "football" gets him pumped up. A real football fan, he now dreams to be a football PD that widely benefits the football world. 5년 동안 축구 관련 팟캐스트 연출과 대한축구협회의 SNS 영상 콘텐츠 제작을 담당해 온 영상 전문가입니다. ‘축구’라는 두 글자는 언제나 그의 가슴을 설레게 하는 단어였습니다. ‘성덕’이 된 그는 이제 널리 축구 세계를 이롭게 하는 ‘축구 PD’가 되고자 합니다. As a sports brand marketer in charge of brands such as Uvex, Elan, and Sinano, she now works on the GOAL project at WAGTI. With a 1st degree Kendo, skin scuba and swimming instructor certification, she goes by "WonderWoni" her community. Will WonderWoni's "can't stop, won't stop" attitude be cured by...getting married? 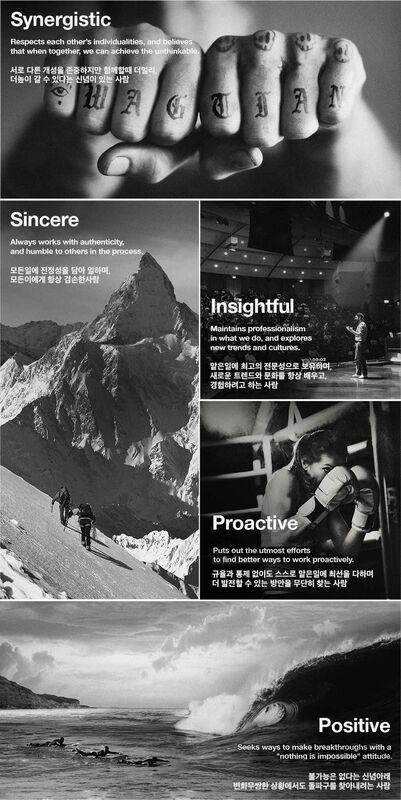 Uvex, Elan, Sinano 등 글로벌 스포츠 브랜드의 마케터로 활동했었고 WAGTI에서 GOAL 프로젝트에 기여 중입니다. 검도 1단, 스키, 스킨스쿠버,수영 강사 자격증을 보유하고 원더워니라는 닉네임으로 여러 레저 활동을 즐기는 그녀의 움직임병은 결혼을 하면 나아질까요? Studying computer networking, he currently codes web as a web developer. Painting pictures through code on a text editor, we can achieve everything we dream. Developing web services at WAGTI, he likes to workout and one day dreams to be like the Hulk. 컴퓨터정보통신을 전공하였고, 코딩의 매력에 빠져 웹 개발자 길을 택했습니다. 편집기라는 스케치북 위에 문자라는 그림을 그리면 우리가 생각하는 것은 이뤄집니다. 현재 WAGTI의 디지털 서비스 웹을 담당하며, 헬스가 취미인 그는 헐크처럼 되는게 꿈입니다. 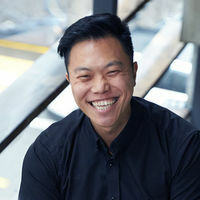 After graduating from NYU in sports management, Jay has led a sports startup, been a management consultant at KPMG and is currently responsible for WAGTI's new business development. As a true passionate "WAGTIAN", he plays as hard as he works. 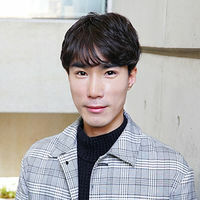 NYU 스포츠 매니지먼트 학부를 졸업한 뒤 뉴욕에서 스포츠 관련 스타트업을 리드한 경험이 있으며, KPMG 경영 컨설턴트로 재직했습니다. 현재는 WAGTI의 신사업 구축을 담당하고 있습니다. 놀 때의 열정으로 일하고, 일할 때의 집중력으로 즐기는 그는 진정한 WAGTIAN입니다. Sung Jae draws football. He designed at Sportizen for Chungchoon FC, Belgium team A.F.C. Tubize's branding, and also the U-20 Worldcup. 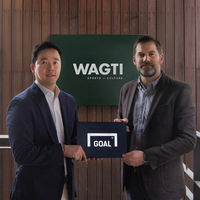 At WAGTI he creates content for goal.com. He is very passionate about football to the point where he IS football. 축구를 그리는 사람입니다. 스포티즌에서 청춘FC로 시작해 벨기에 구단 AFC투비즈를 브랜딩하고 한국에서 열린 U-20 월드컵 시상식 디자인 한 그는 WAGTI에서 goal.com 컨텐츠를 담당하고 있습니다. 그는 축구에 미쳐있는 축덕을 넘어선 축구관종입니다. 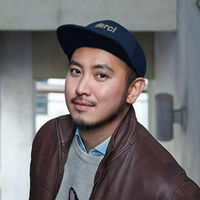 Allen is from a sports broadcasting and content marketing background from SPOTV. He's covered the '15·'16 NBA Finals, the WTA, and now contributes his efforts at WAGTI. A do-gooder on the outside, he's done every sport he could try and mastered them all.  SPOTV에서 스포츠 방송 편성 및 콘텐츠 마케팅을 경험으로 '15·'16 NBA Final, WTA 대회 등을 담당했고 이를 바탕으로 WAGTI에서 활약하고 있습니다. 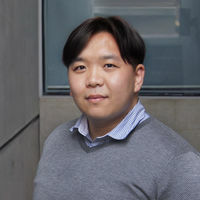 성실한 교회오빠 이미지로, 스포츠라면 닥치는 대로 시도한 결과 모든 운동을 섭렵했습니다. 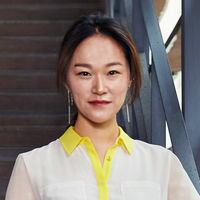 A user interface/graphic designer in Seoul since 2010, she designs technology and culture and pushes herself to experience diverse cultures. She constantly contemplates on how to merge logical thinking with aesthetically pleasing designs. 2010년부터 서울에서 활동하고 있는 유저 인터페이스 / 그래픽 디자이너입니다. 정보기술과 문화 전반에 걸쳐 다양한 디자인 작업을 하고 있으며 새로운 문화에 자극을 받기 위해 꾸준하게 노력하고 있습니다. 논리적인 과정과 시각적 아름다움을 모두 만족하는 디자인을 위하여 끊임없이 고민하는 디자이너입니다. She worked as a package designer at LG Home and healthcare and currently is building her career as a designer at WAGTI. As someone who aspires to be a designer who wants to subtract in a world that demands to add in design, her day starts with her cleaning her workspace. LG생활건강에서 패키지 디자이너로 일 했으며 현재는 WAGTI와 함께 새로운 프로필을 만들어나가고 있는 그녀입니다. 더하고 더하는 세상에 빼고 비우는 정반대의 영역을 만드는 디자이너가 되고 싶은 그녀의 하루 일과는 책상 정리부터 시작됩니다. Currently working on WAGTI's new brand, she has had experience in several fashion brands as a fashion and graphic designer, as well has managing her own brand. She treats herself a goddess, and pursues things that she likes. 다양한 분야의 패션 브랜드에서 패션 및 그래픽 디자이너로 근무하였으며, 이후 개인브랜드를 운영한 경험을 바탕으로 WAGTI에서 신규브랜드를 준비하고 있습니다. 자신을 신처럼 믿고, 좋아하는 것을 합니다. 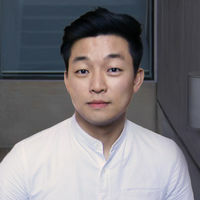 After 2 years in Paris studying fashion and distributing shoes in his free time, he came back to Korea to work as an MD at Sinsegae International. Currently an MD for WAGTI's Goal brand, he also burns off his overflowing energy as a runner at PRRC every week. 파리에서 2년간 학업과 신발 유통업을 병행하며 패션에 대한 열정을 펼쳤습니다. 귀국 후 신세계인터내셔날 PL MD팀에서 경험을 쌓았고, 현재 WAGTI 골 브랜드의 MD로 일하고 있습니다. 넘치는 에너지를 불사르러 매주 저녁 PRRC로 출근하는 불꽃 러너이기도 합니다. Despite majoring in design at college, she was interested in marketing and worked freelance at a marketing agency. Currently responsible for WAGTI's inhouse digital marketing, she strives to be a quick messenger who delivers WAGTI news to the world. 디자인을 전공했으나 마케팅에 큰 흥미를 느껴, 마케팅 에이전시에서 프리랜서로 근무하며 경험을 쌓았습니다. 현재는 회사의 디지털 마케팅 담당으로, 앞으로 WAGTI의 소식을 발 빠르게 전하는 메신저가 될 예정입니다. 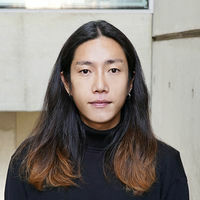 Kwan Jae studied menswear at Central Saint Martins in London before starting his first real job at WAGTI. 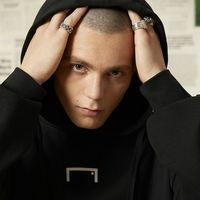 An avid fan of football, skateboarding, snowboarding, and surfing, he desires to be a fashion designer who creates clothes that embody the soul of sports. 런던 Central Saint Martins에서 Menswear를 졸업하고 왁티에서 첫 사회생활을 시작했습니다. 축구, 스케이트보드, 스노우보드, 서핑을 즐기는 스포츠 러버이며, 스포츠의 소울을 가장 멋있게 옷에 담는 패션디자이너가 되고 싶습니다. She's a "lover of sports" with experience as a sports editor for the EPL, NBA, and MLB. She powers through everything, in contrast to her appearance. Currently in media sales for goal.com at WAGTI, her strong will comes from her belief, "if you stumble, make it part of your dance". 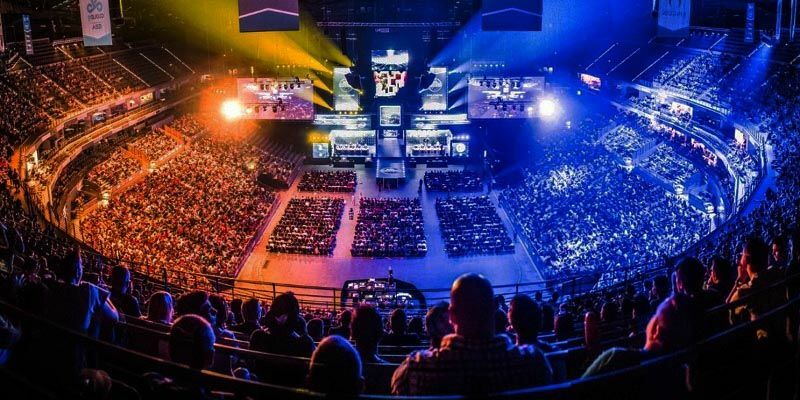 EPL, NBA, MLB 등의 해외 스포츠 에디터로 활동한 '스포츠 러버'입니다. 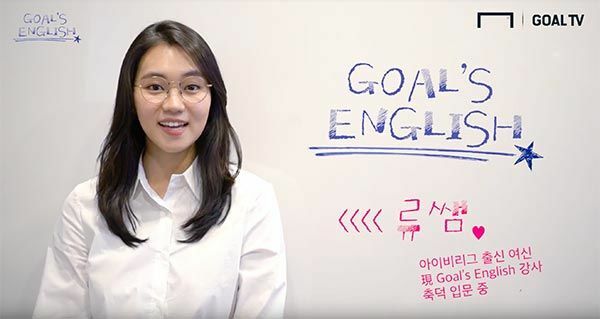 현재는 첫인상과 대비되는 엄청난 맷집과 대범함을 바탕으로 WAGTI에서 Goal.com 미디어 세일즈를 담당하고 있습니다. 'If you stumble, make it part of your dance'라는 신념이 그녀의 대범함의 원동력입니다. 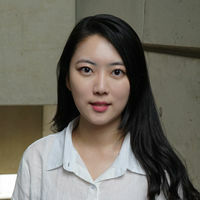 While majoring in sports in college, Eunhee published a book about sports startups. While contemplating her career path, she discovered the possibility of WAGTI being different from others and knocked on its doors. She enjoys life by blogging her experiences believing that you actively fill your life, rather than have it flow by. 대학에서 스포츠를 전공하면서 스포츠 스타트업 관련 책을 출간했습니다.진로를 놓고 방황하던 시기에 ‘WAGTI라면 다를 것이다’라는 가능성을 발견하고 문을 두드렸습니다. 인생은 흘러가는 것이 아니라 채워가는 것이라 믿는 그녀는 자신이 경험한 것들을 블로그에 기록하는 즐거움으로 살아갑니다. 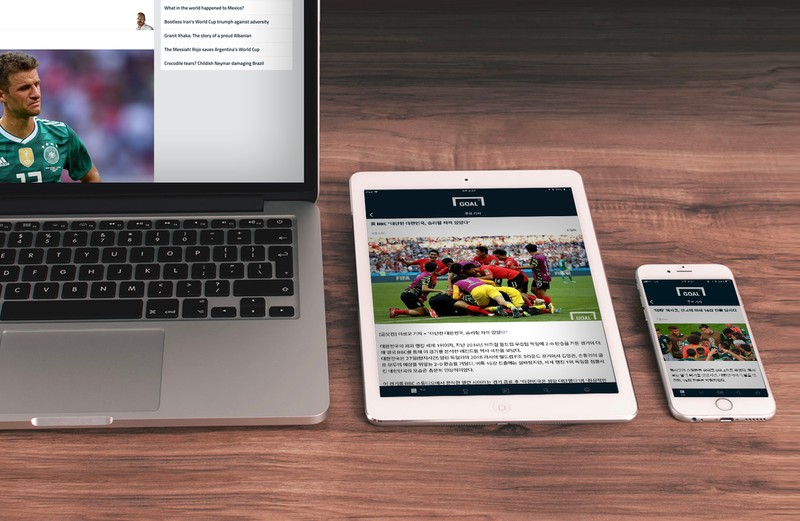 Our team of writers, content creators, and digital specialists work night and day to deliver the best in-depth football content possible to our audiences. 세계 최고의 축구 온라인 매체(38개국 에디션)인 GOAL.com의 한국 에디션을 운영 중입니다. 축구의 최고 전문가 그룹(기자, 콘텐츠 크리에이터, 디지털/SNS 전문가)이 한국 축구 팬들에게 보다 다양하고, 재미있고, 깊이 있는 콘텐츠를 제공하기 위해 밤낮으로 고민하고 있습니다. Planning, design, production, and sales/distribution of lifestyle products(Fashion, Art & Design, MD, etc.) 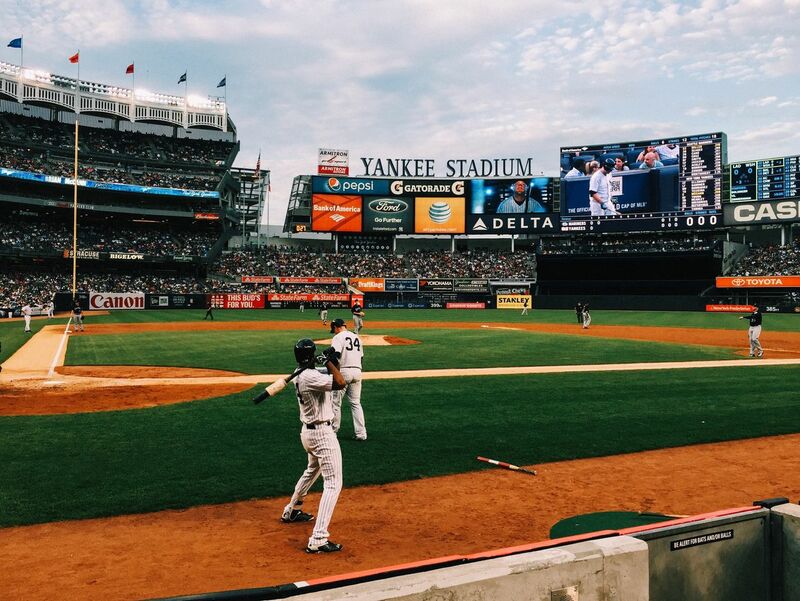 that fuses sports and culture. 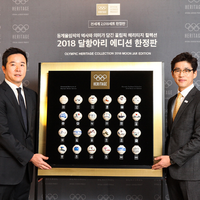 Businesses include the Goal global licensed brand which combines football and its surrounding culture, Art & Design products surrounding the history of the Olympic Games, and the Korean FingerHeart MD products which is part of K-culture. 스포츠와 문화를 결합한 라이프스타일 제품(패션, 아트&디자인, 머천다이즈 등)을 기획, 디자인, 생산, 판매합니다.대표적으로, 축구와 문화를 결합한 GOAL 글로벌 라이선스 브랜드(라이프스타일 패션), 올림픽의 역사를 바탕으로 하는 올림픽 헤리티지 아트&디자인 제품, K-Culture의 하나인 Korean Finger Heart 머천다이즈 비즈니스 등을 진행하고 있습니다. 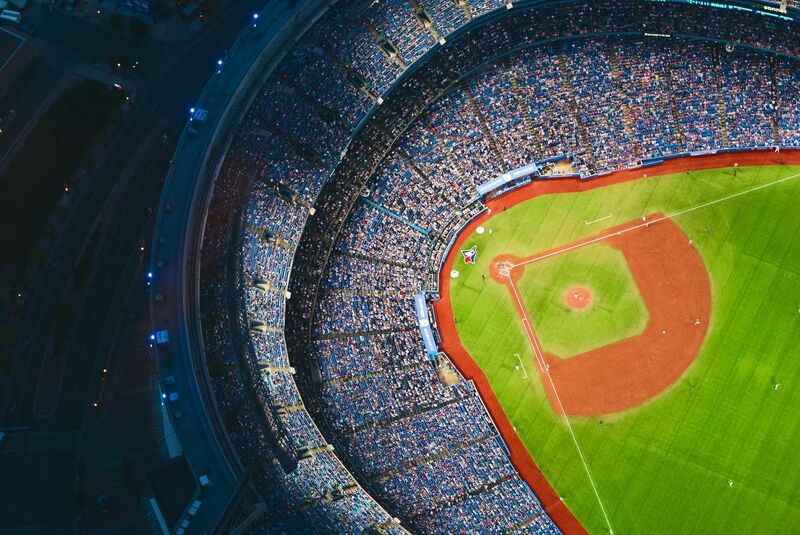 Planned for launch in late 2018, our digital service team is working to create a fresh way to enjoy sports for fans, old and new. 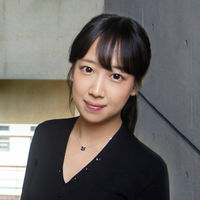 스포츠와 문화를 결합하여 모든 연령의 스포츠 팬들에게 신선하고 다양한 재미를 줄 수 있는 서비스를 기획/개발 중이며, 2018년 말에 서비스 런칭 예정입니다. 글로벌 스포츠·문화 콘텐츠 스타트업 WAGTI(왁티,대표이사 강정훈)가 월트디즈니와의 콜라보레이션을 통해 ‘디즈니 핑거하트 장갑 5종’을 출시했다. 이번에 출시되는 ‘디즈니 핑거하트 장갑’은 올해 탄생 90주년을 맞이한 미키마우스를 필두로 내년 신작 개봉으로 큰 화제를 모으고 있는 토이스토리의 우디와 버즈, 꾸준한 사랑을 받고 있는 곰돌이 푸와 겨울왕국엘사 장갑까지 총 5종으로 구성되었다. 스포츠·문화 콘텐츠 스타트업 WAGTI(왁티)가 삼성벤처투자, 미래에셋벤처투자 등 국내 유수의 VC(벤처캐피탈)로부터 총 100억원 규모의 시리즈 A 투자를 유치했다. 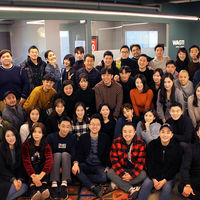 이번 투자에는 포레스트 파트너스(리드 인베스터), 삼성벤처투자, 미래에셋벤처투자, AJ 캐피탈파트너스, 이수창업투자, 기술보증기금 벤처센터 등 6개 투자사가 참여했고, WAGTI(왁티)의 투자유치 후 기업가치는 400억원으로 평가되었다. 특히 ICT 및 기술분야가 아닌 콘텐츠 사업 분야 그 중에서도 스포츠·문화 콘텐츠 기업으로서 사업성을 인정받아 100억원대의 대규모 투자를 유치해 냈다는 점에서 더욱 특별한 의미를 지닌다. 스포츠 콘텐츠 스타트업 왁티 "골닷컴과 라이프스타일 의류 출시"
자전거 들고 뛴 사나이 프룸 "도전하면 꼭 이루는 게 철칙"
Find our latest work here. WAGTI가 이뤄낸 성과들을 CASES에서 확인하세요.